Published April 5, 2012 in the anthology I’ll Never Go Away, by Rainstorm Press. Edited by Lyle Perez-Tinics. Currently available on Amazon in paperback & Kindle formats. NOWHERE IS SAFE! Eyes watch you from all directions. They want you, they lust for you, they crave you, they … need you. Rainstorm Press presents I’ll Never Go Away tales of stalkers and those they pursue. Stalkers come in all forms from traditional voyeurs, to demons and spirits stalking humanity, to the voices in our head that make us believe something is there when there’s nothing. I’ll Never Go Away is the perfect read for those of us who believe real horror comes from humanity itself. Published Sept. 26, 2010 in the Monster Mash anthology, by Pill Hill Press. Edited by Jessy Marie Roberts. On sale at Amazon and other online retailers. Monsters run rampant in this fun and exciting tribute to the creatures, ghouls and beasts that haunt our nightmares and frighten our imaginations. 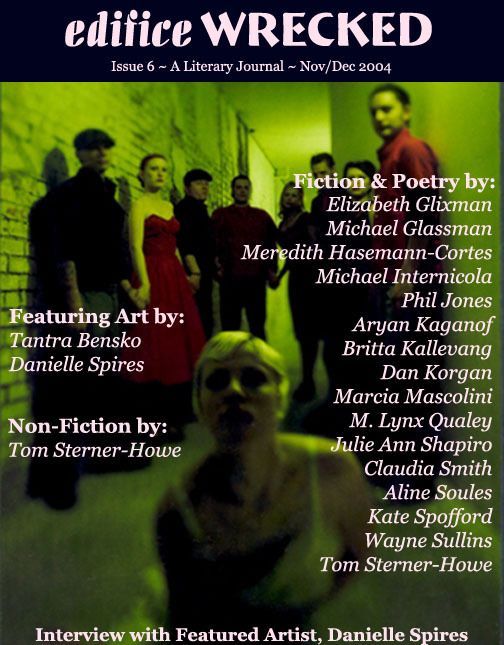 Includes the following 15 short stories: Dead in the Woods by Eric S. Brown, Henderson Hell Machine by Sean Graham, The Fort by Linda L. Donahue, Bonds of Blood by Darin Kennedy, Her Majesty by Miguel Lopez de Leon, The Witch’s Daughter-in-Law by Will Morton, Snake Oil by A.D. Spencer, Things Unseen by Thomas Strømsholt, Evil Mountain by Rebecca Besser, Zombies vs. Mummies by Anthony Giangregorio, Night of the Monster Mutiny by Scott Harper, The Brackish Diamond and its Value Tainted by Bloody by Christopher Heath, Sending Her On by Peacho Rockington, Deadside Story by Gregory L. Norris, & Seventh Son by Kate Spofford. This story was nominated by the editor for the Pushcart Prize, and also appeared in a sampler for all of Pill Hill Press’s anthologies. Published Nov./Dec. 2004 in edificeWRECKED. Published Jan/Feb 1998 in 69 Flavors of Paranoia. Published December 1997 in FrightNet. Published October 1997 in SpineChiller FanZine.